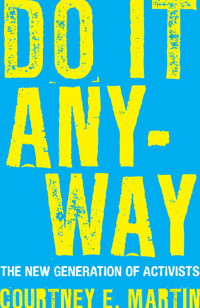 If you care about social change but hate feel-good platitudes, Do It Anyway is the book for you. Courtney Martin's rich profiles of the new generation of activists dig deep, to ask the questions that really matter: How do you create a meaningful life? Can one person even begin to make a difference in our hugely complex, globalized world?